"Von Trier begins by casually rejecting a fundamental tenet of the cinema. 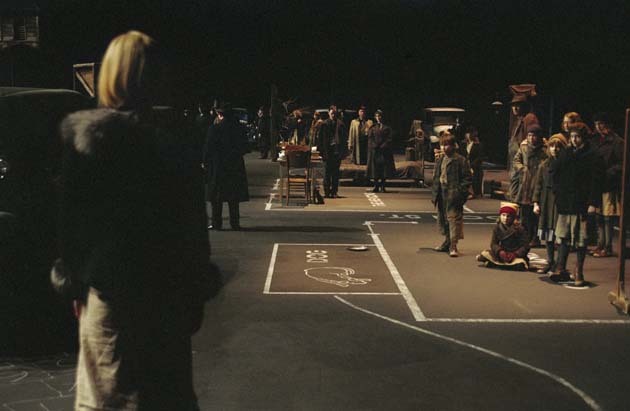 Even the most minimalist storytellers are obliged to place their actors in a physical space: back lots and painted sets may be deliberately artificial, but they always have walls and doors. 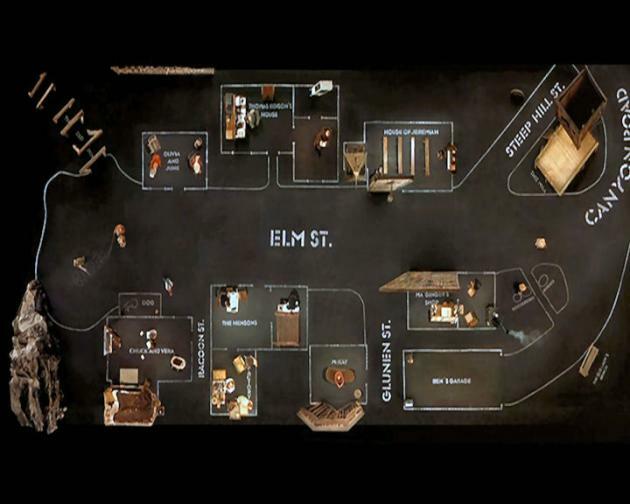 Dogville is set on a pitch black sound stage with minimal props and schematic chalk outlines on the floor in lieu of walls. (It's like watching The Phantom Menace at a nascent stage, the actors adrift against bare blue walls before the backgrounds and animation are grafted on.) Whenever the camera pulls back for a wide shot, every inhabitant of the tiny hamlet is clearly visible, miming their daily tasks in their 'houses.' 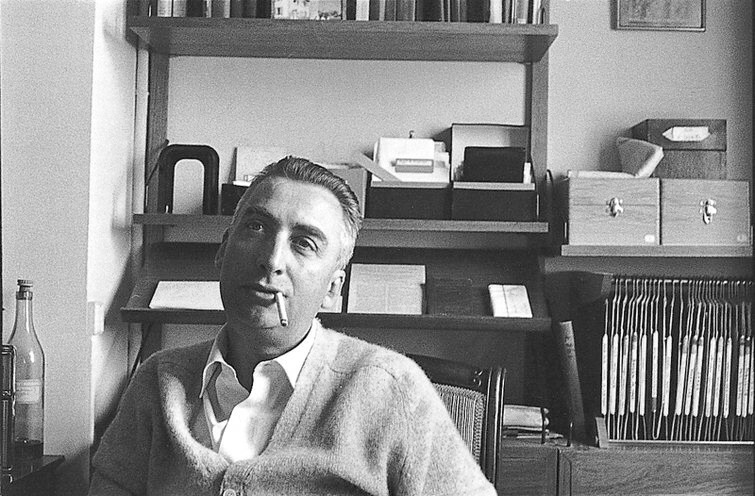 At first this archly theatrical staging, with its deadpan narration, ironic chapter headings and characters knocking on non–existent doors while we hear the thumping on the soundtrack, seems to be Brechtian alienation run amok. Yet as the story grinds grimly forward the inescapability of the townspeople in each shot shifts from a clever metaphor for small town claustrophobia to a palpably oppressive reality."